The apartment Ourse Bleue 601, located in the residence of the same name, is a contemporary apartment in the centre of Courchevel Moriond. 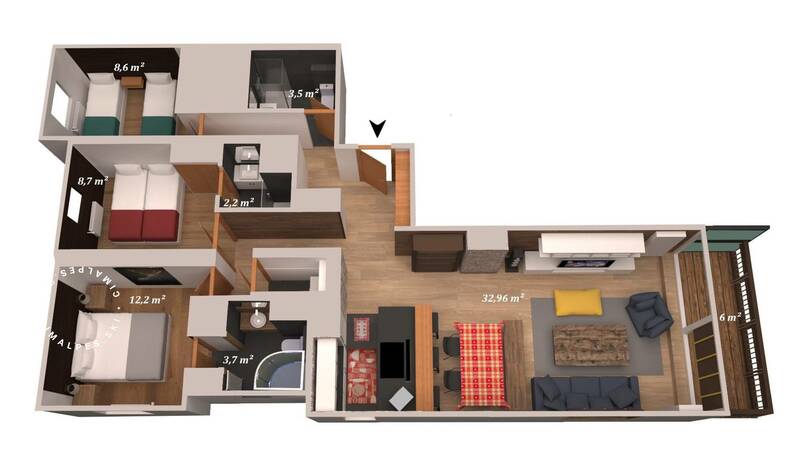 Its central location and access to the ski slopes make it a functional apartment. 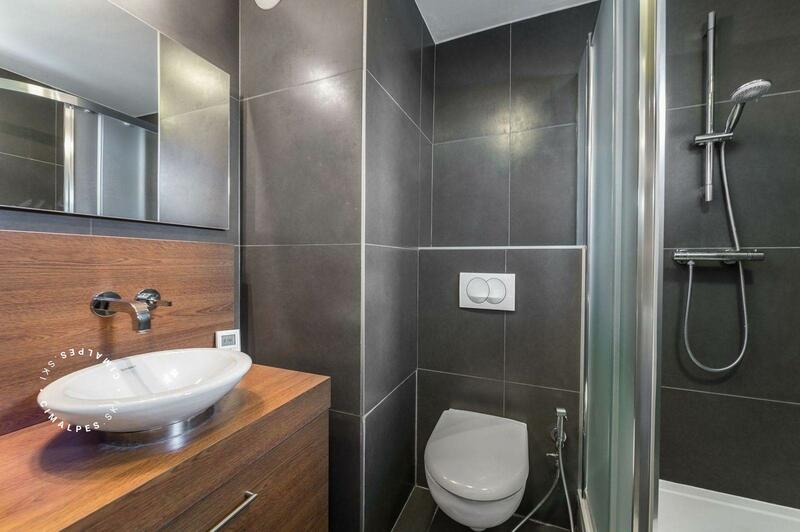 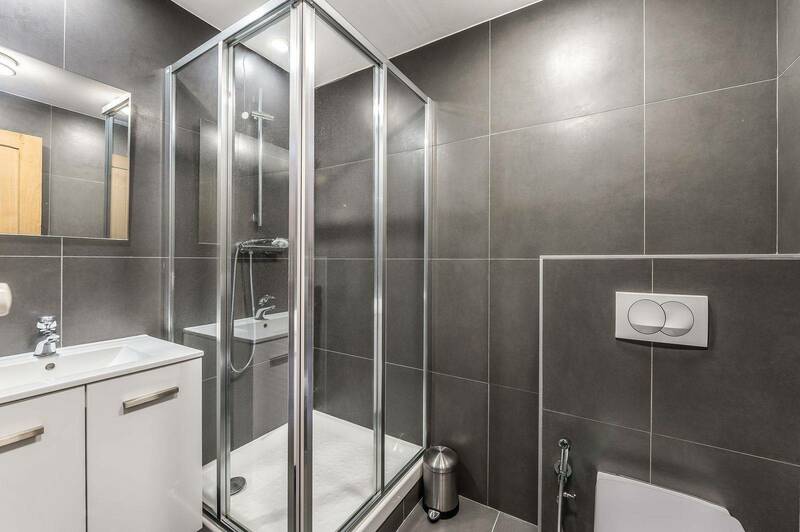 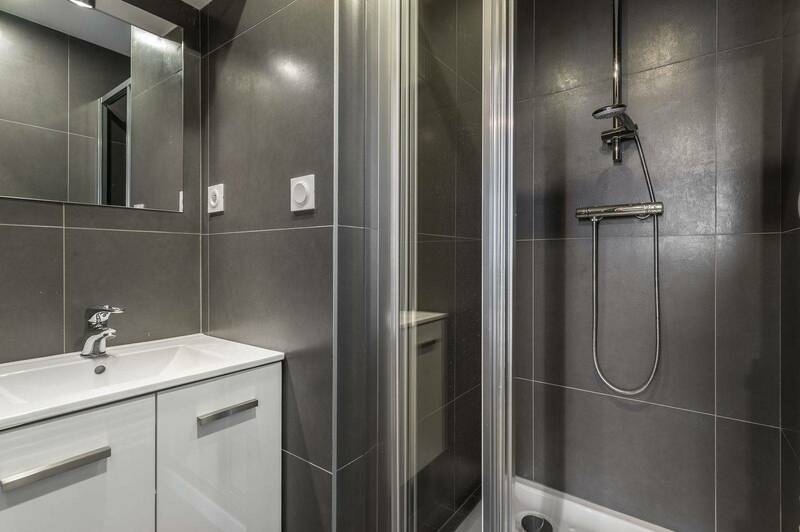 Located on the sixth floor of the Ourse Bleue residence, apartment601 has been completely renovated in a contemporary style, as if to fit in with the spirit of the residence. The facades are divided between a white side from which the balconies stand out and another covered in lumber, very symmetrical to the first. 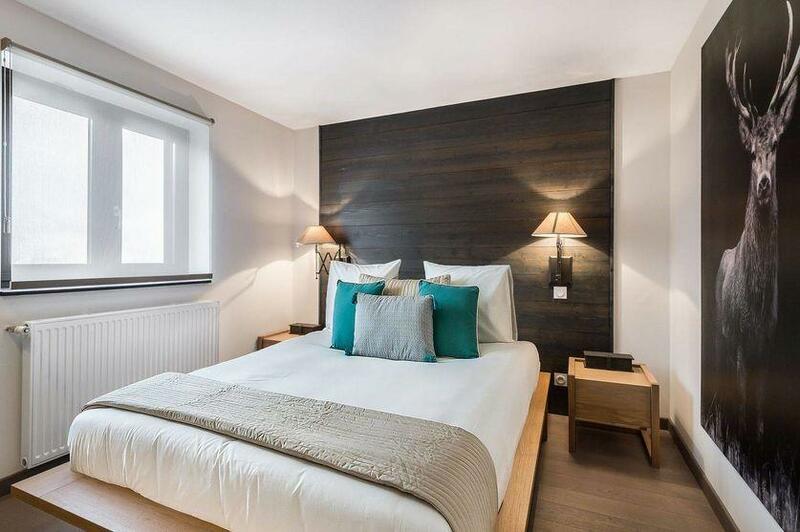 The interiors of the Ourse Bleue 601 apartment are a mixture of up-to-date traditions: the wood is used in dark cladding, the stone gets a place on the walls taking a white hue and the bright colors melt into this modern decor. 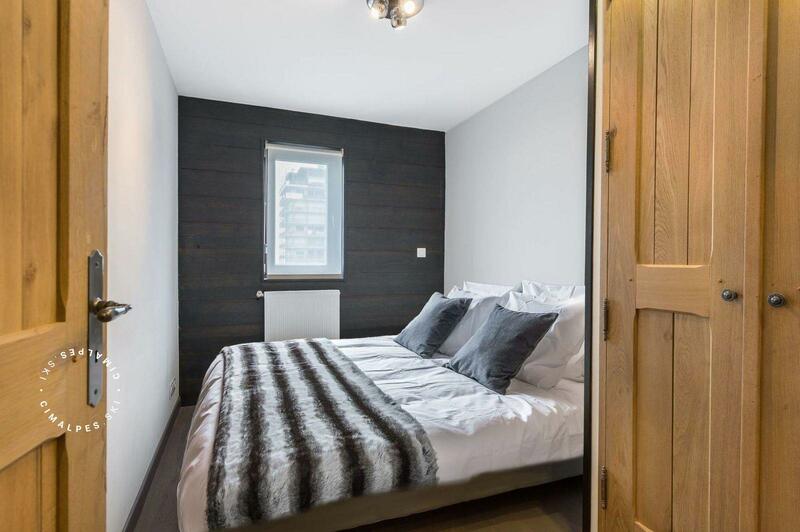 The 2 twin rooms will accommodate 4 guests for soothing and relaxing moments after a day of skiing, while the double room will be ideal for a couple of 2 adults who will enjoy the calm. 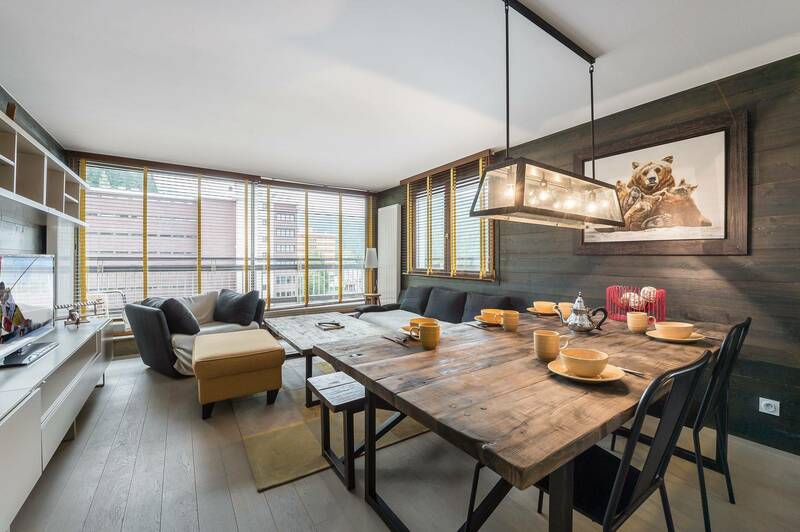 The balcony will allow you all to gather around a drink to celebrate the exploits of the day on the slopes! 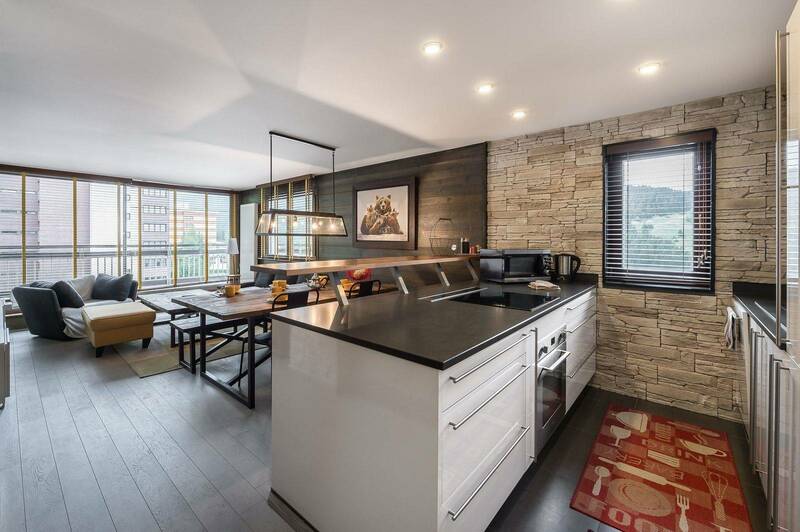 The living room combines the white fitted kitchen, perfectly integrated in the stone wall, a dining area where you can gather around a comforting meal and a lounge area with television to enjoy the warmth of apartment Ourse Bleue 601 during the long winter evenings. 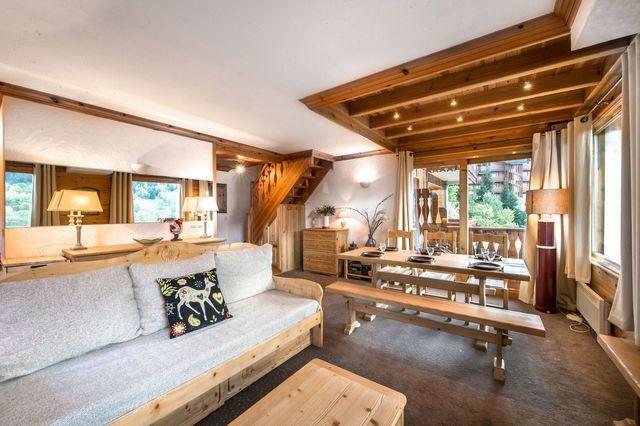 The Ourse Bleue 601 is ideal for a family or a group of friends for a memorable holiday in Courchevel Moriond. 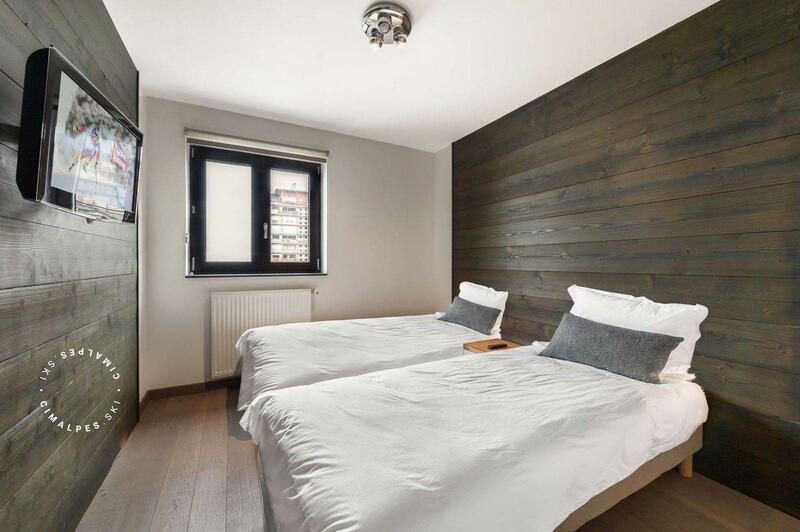 The decoration and the privileged location of the apartment will make your winter sports holiday a success. 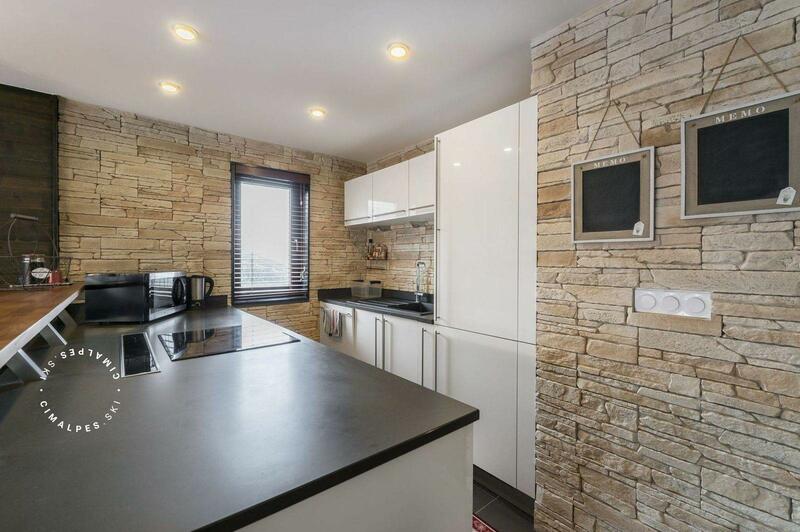 Completely renovated and close to the shops, this cozy apartment has a splendid view on the ski slopes and the peaks. 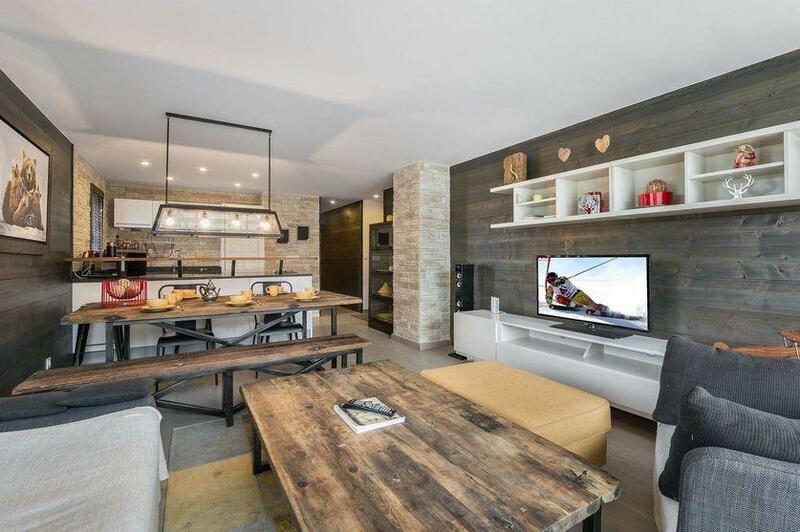 Ideal apartment to come in Courchevel Moriond with family.